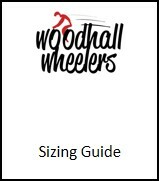 Here are the visualisations for theWoodhall Wheelers 2017 club kit as well as links to the Order Form and Sizing Guide. Also shown is a sizing guide for overshoes. Please state your overshoes size on the order form.